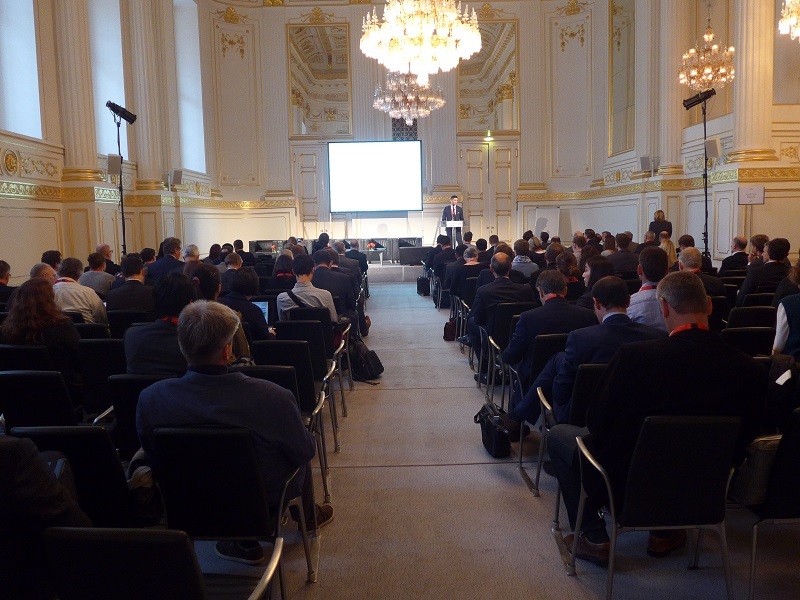 The 13th UIC Sustainability Conference, jointly organised by UIC and the Austrian Federal Railways (ÖBB) with the title “Railways: efficient power towards Sustainability” was successfully held in Vienna at the Hofburg International Congress from 12 to14 October 2016. This conference follows a successful edition held in October 2012 in Venice. The Conference featured speakers from leading international organisations and European institutions, such as United Nations’ UNFCCC and UNECE, International Energy Agency IEA, European Commission, European Investment Bank EIB, the Austrian Energy Agency and representatives from the rail sector including Jean-Pierre Loubinoux, UIC Director General, Yves Desjardins-Siciliano, President of VIA Rail Canada, Chairman of UIC North American Region, Mr Michael Stahlhut, the CEO of SBB Cargo, Switzerland, etc. 330 delegates from 25 countries attended and participated in the debate focused on a sustainable future for the railway sector. The conference aimed to examine the key issues of how sustainability can give rail a competitive advantage, attract investment whilst reducing costs and risks. Mr Jean-Pierre Loubinoux, UIC Director General, opened the conference giving a message from Mr Ban Ki-Moon, Secretary General of the United Nations: “I am pleased to convey my greetings to all those gathered for the 13th Railway Sustainability Conference. 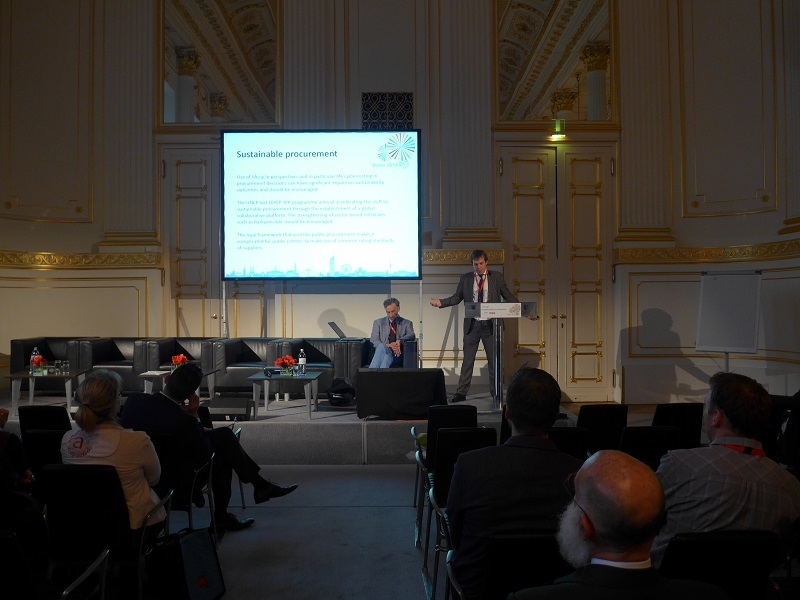 Mr Johann Pluy, Division Manager of “Railway Systems”, ÖBB Infra, declared that climate change is a reality. Natural disasters influence the reliability of railways and are costly. As Austria is an industrial country, powerful freight corridors are important. There are opportunities to improve the efficiency of the rail sector. ÖBB is investing a significant amount in advertising to inform customers about sustainability. The company supports the climate strategy of the government and encourages innovative solutions. 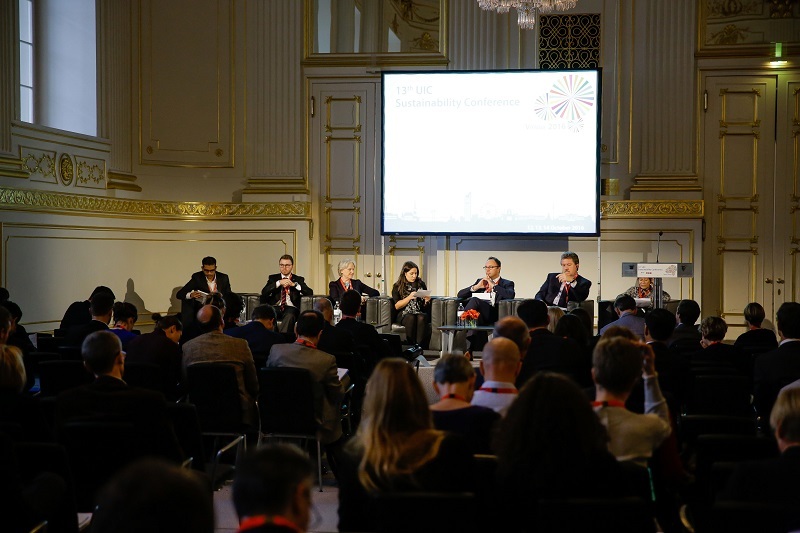 To go more in depth, this event covered three main sessions: The Global 2030 Agenda & COP21 Paris Agreement, Rail and Sustainable development in Europe, and Railway delivering sustainable developments goals. The first session introduced the 2030 Sustainable Development Agenda, the COP21 Paris Agreement, considering both the global and national perspectives before focusing on the role that rail transport can play. It also presented key messages for COP22. 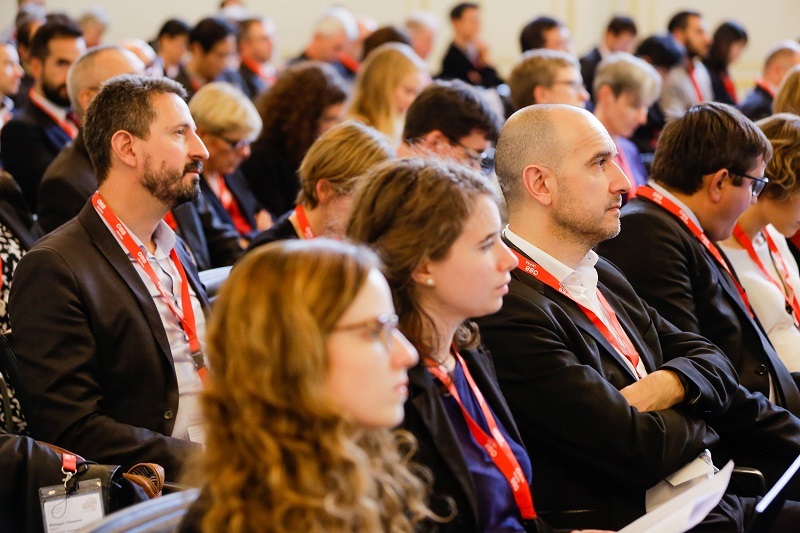 The 2nd session organised by CER, Community of European Railway and Infrastructure Companies, focused on the key issues at European level for achieving low-emission mobility. Decarbonising the transport sector thus remains both a challenge and an opportunity for European policymakers, and low-carbon transport modes such as rail can play a big role in effectively reducing greenhouse gas emissions. The 3rd session considered the strategic issues concerning the contribution of railway companies to key Sustainable Development Goals and how this can secure a competitive advantage. It examined innovative business models, technology and finance and technology transfer, amongst other issues. During the event, the UIC Sustainability champion selected nine short presentations by UIC members and showing the sustainability initiatives of their companies. Mr Ueli Kramer, Project Leader Energy Management at Swiss Federal Railways SBB, received the 1st award thanks to his project on “sleep well, my train”. Mrs Milena Oschmann, Expert Environmental Affairs, DB, received the 2nd award with the DB project on the application developed on ‘DB Train Simulator’, which shows how train drivers are climate friendly. Mr Sanjay Kumar, DFCCIL, Ministry of Railway, Government of India, received the 3rd award, with the project “Saksham”, marching ahead on the sustainability path. 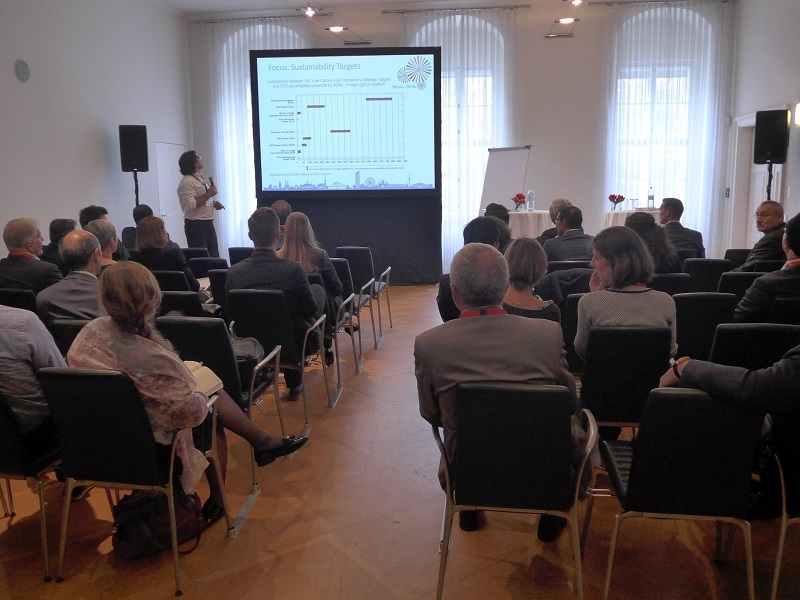 During the second day, a series of 14 technical workshops looked in detail at key issues for railway sustainability. The Carbon footprint in railways where solutions are on the table today to save carbon and save money simultaneously when building new rail infrastructure. The Sustainable procurement: where the use of lifecycle perspectives and in particular life cycle costing in procurement decisions can have a significant impact on sustainability outcomes and should be encouraged. The UNEP-led 10YFP SPP programme (Sustainable Public Procurement Programme from the United Nations Environment Programme) aims at accelerating the shift to sustainable procurement through the establishment of a global collaborative platform. The strengthening of sector based initiatives such as Railsponsible should be encouraged. The legal framework that controls public procurement makes it complicated for public entities to make use of common rating standards of suppliers. Noise & the common assessment method: We have a common noise prediction method, but an un-common process to deal with the data produced. Rail roughness is a dominant parameter for rolling noise. But this parameter is dynamic. It may change by about 1 dB per month. How that should be taken into account in a noise map that is produced once every five years. For implementation of the common noise assessment method, a lot of work still has to be done. A better link with the Inspire Directive shall be sought. Digital communication and energy efficiency: which requires standardisation / harmonisation for cross border operation. It also deals with ’Increased data transfer and cyber security risks’. Sustainability reporting: UIC sits in a ’perfect storm’ for green investing: decarbonising mobility, steady cash flow, long term track record and negative interest rates. Reporting with GRI (Global Reporting Initiative) and the UIC Guidelines is critical to establish credibility to substantiate the degree of decarbonisation and provide further confidence in purposeful management. Environment and social profit loss accounting presents a new and exciting possibility for the UIC Guidelines. Other workshops addressed climate change adaptation, sustainable tourism, energy efficiency projects, recyclability of rolling stock, emissions and air quality, door-to-door solutions, environmental management for maintenance, sustainable and smart stations and biodiversity. 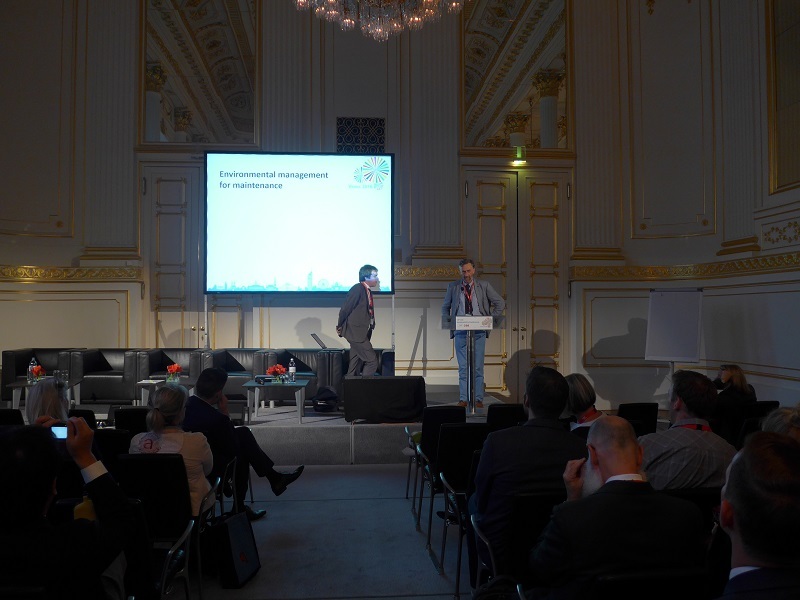 Mr Willy Bontinck, Environmental and Energy Management SNCB and Chair of UIC Environment Energy and Sustainability Platform (EES) and Mr Nick Craven, Head of the UIC Sustainable Development Unit, concluded this two-day conference. They were satisfied by the evolution of the conference and the growing success, with ten times more participants than 20 years ago when the conference began for the first time. Mr Bontinck saw the changes and a shift for pure environment and sustainable issues and also a shift to railway business management. With these 100 speakers, the purpose was to exchange information because “we are a part of one railway world” he said. 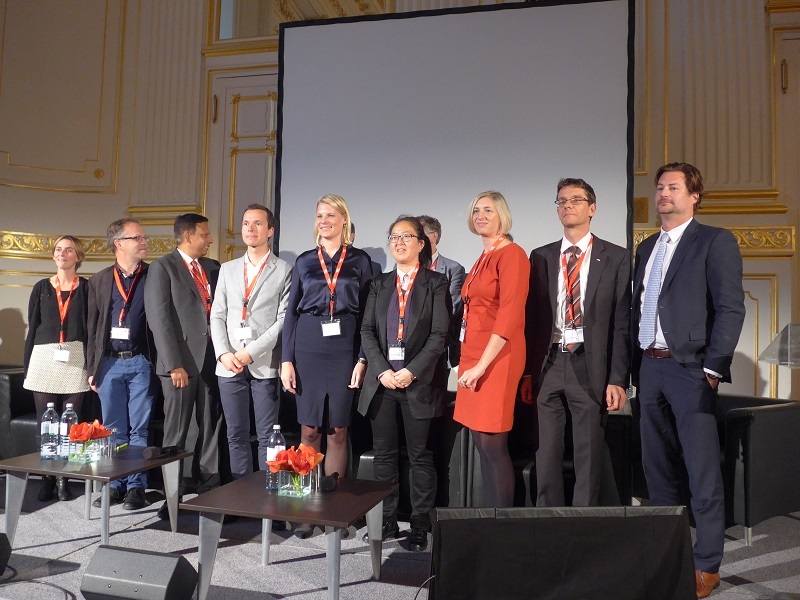 They thanked the sponsors, the ÖBB team and all the speakers for their involvement. 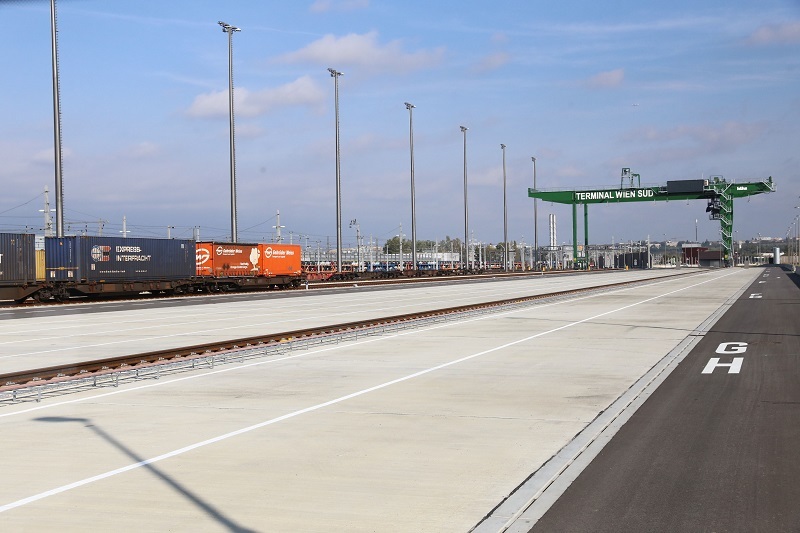 The third day was dedicated to a technical visit which took place in the new Rail Freight Centre South Vienna.